MEP and Central air-conditioning major, Blue Star Limited has entered into a definitive agreement to acquire the plumbing and fire fighting business of D.S. 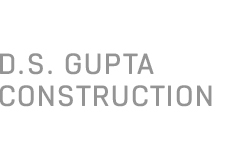 Gupta Construction Pvt. Ltd., the largest independent plumbing and fire fighting contracting company in India. The promoters of D S Gupta Construction will continue to manage the business for the foreseeable future. Avendus Capital was the exclusive financial advisor to the shareholders of D.S. Gupta Construction. This deal is Avendus’ third transaction in MEP contracting space. Speaking on the industry trends, Mr. Preet Mohan Singh, Executive Director, Avendus Capital said, “MEP contracting industry in India is at an inflection point and the fast emerging concept of integrated MEP tenders is clearly segmenting the market in favour of larger players. We see significant consolidation impending in the industry”. D S Gupta Construction Pvt. Ltd. is headquartered in Mumbai with a turnover of INR 1.3 Bn for the financial year ended 31st March 2010. Established over two decades ago, it has pan India operations and is reputed for its quality of work and timely execution. It has a large pool of skilled manpower coupled with long standing relationships and impressive credentials in segments such as hotels, hospitals, educational institutions, commercial buildings, IT/ITES parks and residential complexes. It has also executed projects for several green buildings. Some of the notable projects executed by D S Gupta Constructions include Rajiv Gandhi International Airport, Hyderabad; Kokilaben Dhirubhai Ambani Hospital, Mumbai; Wipro, Gurgaon; The Leela, Mumbai, Gurgaon & Udaipur; NSE, Mumbai; ISB, Hyderabad and UB City, Bengaluru amongst others. Blue Star is India’s largest central air-conditioning company with over six decades of experience, an annual turnover of around INR 26 Bn, a network of 29 offices, 5 modern manufacturing facilities, 700 dealers and around 2600 employees. A few years ago, it recognized the trend of customers preferring an integrated MEP contractor rather than several independent vendors. In order to add electrical contracting capabilities, Blue Star acquired Naseer Electricals in early 2008 and began offering integrated MEP services after a successful integration and roll out of operations across the country. The Company has also been executing quite a few plumbing and fire fighting contracting projects such as Delhi Airport Metro Express Line; Hotel Shangri-La, Mumbai; ESIC Hospital, Mumbai, Hotel Park Hyatt, Chennai and Sea Valley Resort, Vizag, to name a few.